system, or can be sold separately as a stand-alone system. 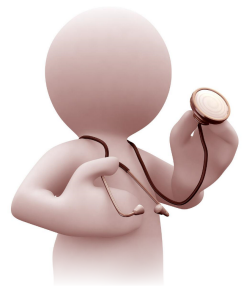 These ‘Expert System‘ diagnostic assistance programs make it much easier for you to accurately diagnose the source of your patient’s problems and plan their treatment program. These programs have been put together with the contribution of over 12 of the best practitioners and experts in the various fields of western medicine, nutritional and functional medicine, biochemistry, traditional medicine and statistics. Using HealthQuest’s diagnostic assistants is like having these experts sitting at your side, helping you with your patients whenever and wherever you require them! The questionnaires the patient fills out can be emailed, posted or faxed for them to complete and bring in when they come for their consultation. This saves you a great deal of time during a consultation and helps to pinpoint problems that the patient may not have thought to mention. It also saves you from having to ask all those same old boring but important questions over and over again. Charting your patient’s progress over time allows you to show them just how well they are doing with your expert guidance. How often do we hear a patient say after being on their program for a while, “I don’t really feel much better“. However, when you show them their progress over time with their Health Graphs and remind them of their previous symptoms, they will then say, “Oh, I had forgotten about that“. The saying ‘A picture is worth a thousand words‘ is very true and your patients will see instantly just how much they have improved. 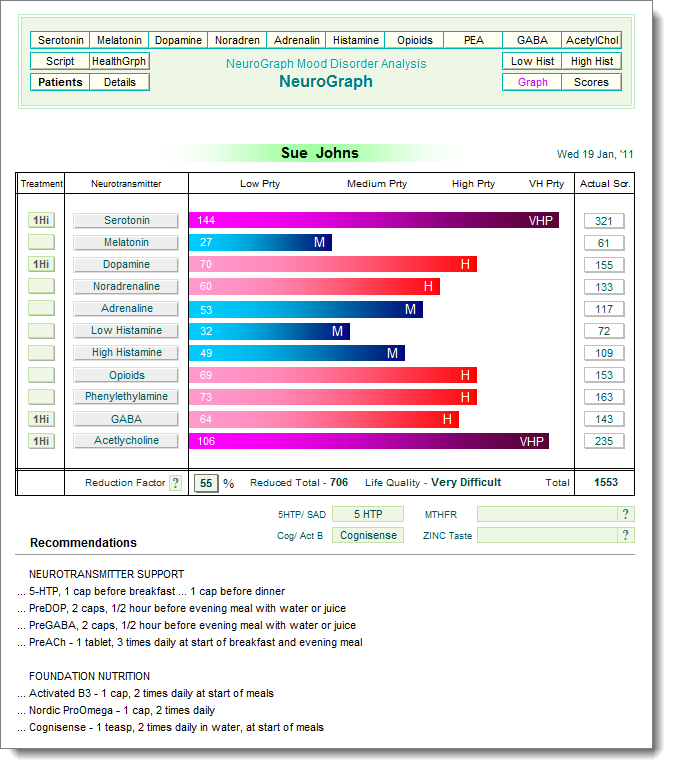 The Neurotransmitter Analysis system provides an excellent overview into the client’s neuro-transmitter balance. The questions on the NeuroGraph questionnaire and their relevance have been carefully researched and evaluated in order to provide the most accurate results possible when the client’s answers are entered into HealthQuest. This system provides a rapid and highly visual insight into possible neuro-transmitter imbalances that your client may be experiencing. Once the practitioner chooses which neurotransmitters require support and level of treatment needed, the program then suggests products and their dosage required to restore the patient’s neuro-transmitter balance and feelings of wellbeing. Enter clinical pathology results directly into the Biochemical Screening program for instant analysis. 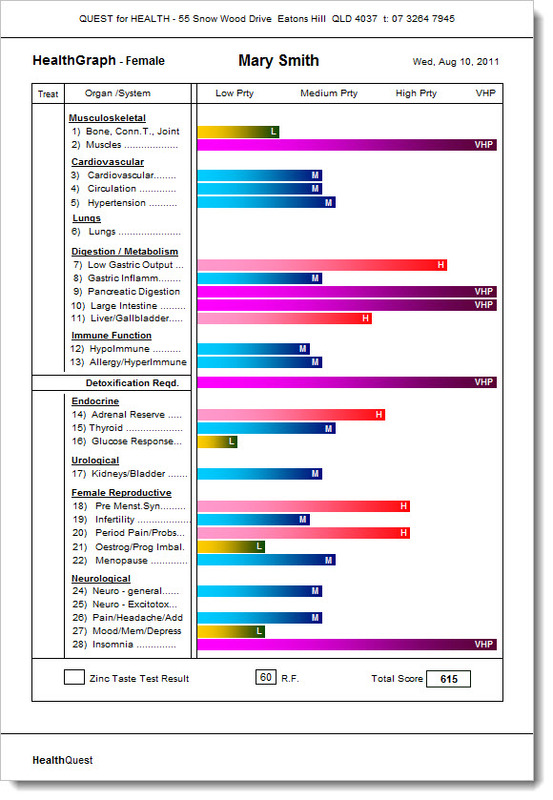 Afterwards, simply view and print the full colour reports for a more detailed analysis and professional presentation to your patient. 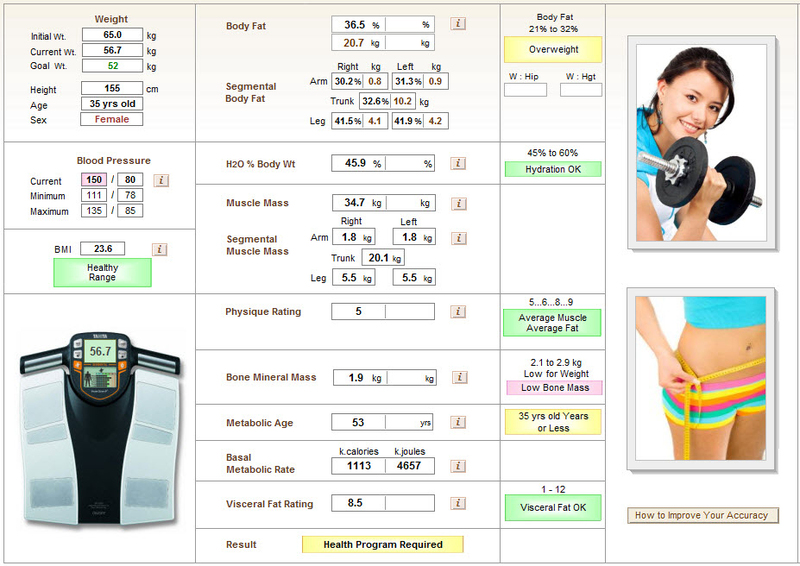 Our body composition analysis software will generate a greater number of highly motivated patients who will be excited about returning to your clinic to check on their progress. 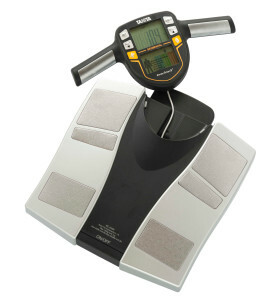 Your patients will love to see the changes to their body composition taking place as a result of your recommended health programs. The Segmental Bio-Impedance Analysis system gives you accurate body composition analysis results that allows you to measure a patient�s physique and inner health, starting with children as young as 5 years of age! HealthQuest’s latest BIA system measures much more than competing systems and offers you great value and at only a fraction of the cost of other BIA programs that sell for as much as $6,000 (e.g. VLA system). The BIA tutorials in the form of mini-movies provided with your software package offer you training from the comfort of your own home or office.